Headhunting companies can serve as an experienced business partner in many stages of a business’ life cycle. 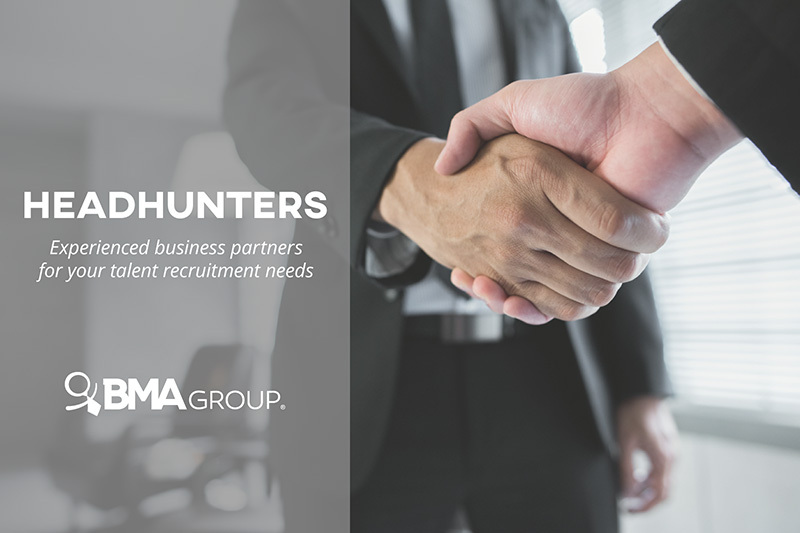 Whether it’s a starting business, a team that needs to grow, or an expansion into new markets, headhunting services can prove highly valuable. Relying on headhunting services to build or grow your team is leaving the dirty job to the pros. They do the hard part, you get the business results. Investing in headhunting services represents time and money saved, when you partner with the right company. Good headhunting companies have their ear on the ground. They know the current state of the job market. Some are even specialized in one or a handful of industries. Therefore, they are better positioned to find the best candidate for a job position in the least amount of time. That’s money well invested, particularly for a starting business. Going into a new market is a venture full of challenges. Having someone on your side with the ins and outs of the local job market can be an invaluable asset. The goal of a headhunting company is to match an opportunity with the candidate best qualified to do the job right away. With the job description, headhunters in Puerto Rico browse through the dozens of resumes applicants send. Recruiters will look at those resumes with critical eyes. Then, they will interview a selection of the most promising candidates. From that round of interviews, they make a final selection and present only the best candidates to their clients. Headhunters in Puerto Rico are driven to give their clients only the top results. Headhunters in Puerto Rico don’t sit all day behind their desks, reviewing one resume after the other. Yes, that’s part of their job. But it’s also their job to build a robust network of professionals, employed or looking for work. Like individuals looking to build their network, recruiters go to conventions, workshops and other professional events that present networking opportunities. This way, they are continuously meeting new people and adding them to their database. Sure, you can do the same thing. But coming into a new market, how long will it take you to develop a robust professional network? The most resourceful headhunting companies have mastered this art of networking. And headhunters in Puerto Rico have years of networking advantage over newcomers. Typically, when companies need to build or grow a team, it’s because they have a new, often ambitious project at hand. That involves handling multiple tasks. By taking care of the recruitment process, headhunting services allow team leaders to focus on the project itself. Also, because of their experience and resources, recruiting agencies can fill a position faster than you would on your own. In other words, with headhunters in Puerto Rico, your dream team will come together quicker and the project will kick start faster. Perhaps the job market is flooded for candidates, or is very competitive. Maybe the job opportunity you are looking to fill is highly specialized. Regardless of the scenario, it requires dedicating a lot of hours and resources to the process. In any case, a headhunter provides the best money and time investment for the task, given all the reasons mentioned above. Relying on recruiting agencies to take care of filling new positions or building an entire team is a smart investment that saves times and money. Why? Because recruiting agencies are experienced and well-connected. They also know the market and should have a robust database. All these qualities of reliable headhunters in Puerto Rico will work in your favor. Research headhunters in Puerto Rico. Don’t let myths or preconceived notions keep you from reaping the benefits and advantages of working with a reliable business partner. I must appreciate you for providing such a valuable content for us. very helpful article. Thanks for sharing this article.